Standing proudly in the Marsh Green Estate, at the heart of 150 acres of grassy parkland, this charming spot provides the perfect excuse to escape to the country. Admire the famous English Longhorn cattle, and wander into the farm shop to peruse locally sourced meat and cheese, freshly baked bread and locally brewed beers. Then, make your way to the charming café at Marsh Green to relax with a bite to eat. With seating across two floors and an outdoor patio for those lovely sunny days, it’s the perfect place to pass a pleasant morning. 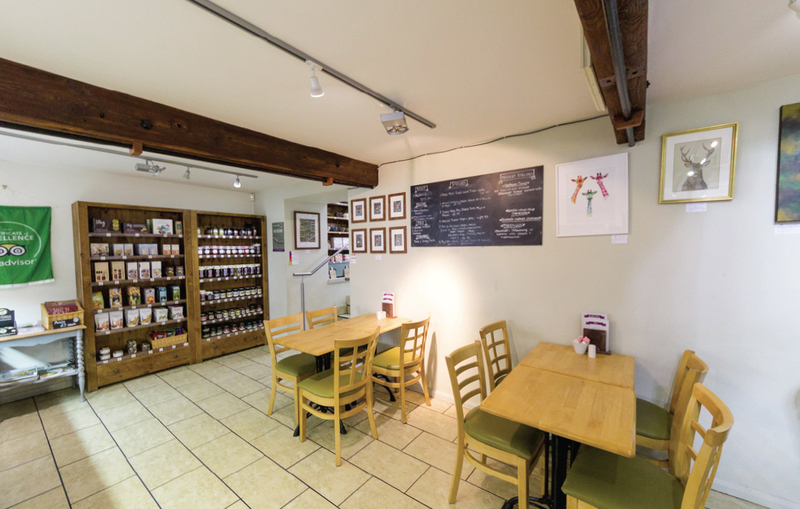 You can pop by for breakfast and enjoy a sausage or bacon sandwich, or even treat yourself to a full English breakfast. With meat from the Marsh Green butchers and locally sourced free-range eggs, you’ll be hard pushed to match it for quality. If you visit later in the day, why not sample a tasty lunch? Expect sandwiches made with freshly baked bread and a choice of fillings including Marsh Green’s own cured ham and cooked beef. For a heartier option, tuck into a homemade pie or pasty accompanied by hand-cut chips and onion gravy, or choose something from the specials board. To round off your meal, why not enjoy the dessert of the day, or a slice of homemade cake with a warming cup of tea or coffee?